970 to go! 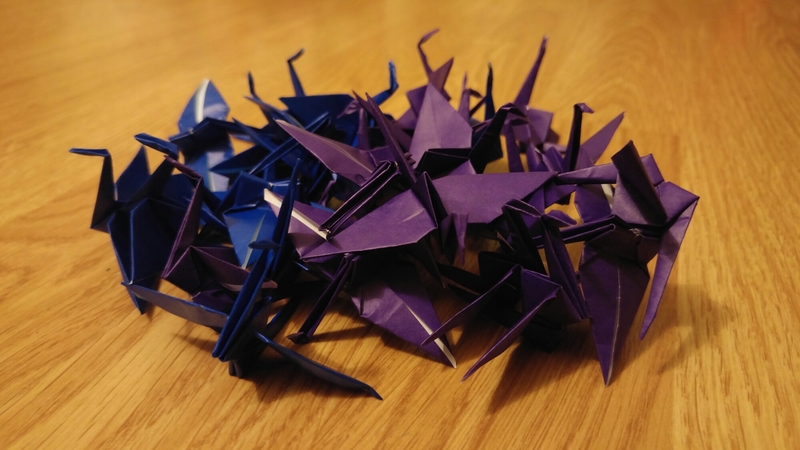 I bought a kit with 1000 different colour square pieces of paper as I plan to make 1000 origami cranes over this year, it arrived yesterday! I just need to make 5 a day to not miss my deadline and have a bit of a buffer! I just fancied having a task that’s difficult but achievable..
Today was a lovely day, Nic and I cycled to Andy and Moiras new house then went for Sunday lunch. It’s been a very calm weekend and I’ve really enjoyed it, we’ve definitely got a lot done too! Cool challenge of those 1000 origami cranes! Thanks Sophie! I’m sure there will be an update in the coming months, I’ve got a long way to go yet!